As the recent Michael Brown and Eric Garner cases (and subsequent and continuing protests) painfully proved, race remains a central and contentious issue in America - which alone would make On Highway 61 an essential read. But it is also a profound, engaging, well written, and wide-ranging exploration of an essential part of American cultural history - how music, race and ideas (and ideals) of identity and freedom are deeply intertwined and fundamental to the American character. McNally (who wrote his dissertation on Jack Kerouac and then took a career detour to work as the publicist for the Grateful Dead before returning once again to history) begins with Thoreau's Walden and Twain's Huckleberry Finn as key expressions of the American conception of freedom. He then follows Highway 61, "The Blues Highway," to explore the development of African American music and its interaction with European forms from the early days of minstrelsy, through the birth of blues and jazz, to the rise of rock. 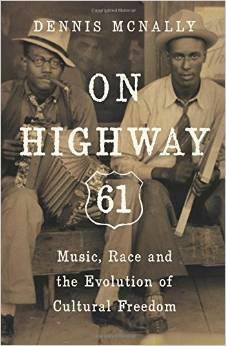 The real Highway 61, which starts in New Orleans (the purported birthplace of jazz), ends in Minnesota, not all that far from where Bob Dylan grew up, and McNally's book ends there too, exploring Dylan's classic Highway 61 Revisited and its deep connections to African-American music, the Civil Rights movement, and evolving conceptions of freedom. This is a clear and incisive look at American music, but the real value of McNally's book is how it sets that music in a deeper and critically important context that resonates to the present day. Rebel Music (released earlier this year and just out now in paperback) is, in many ways, an interesting companion to On Highway 61. Like McNally, Aidi (a lecturer at Columbia University) is concerned about music and its relationship to ideas of freedom and identity too. 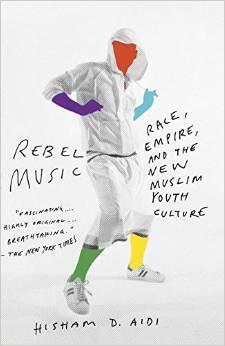 In this case, however, the focus is on contemporary Muslim youth and the music connected to their ideas of identity and freedom. Rebel Music traces cultural developments back hundreds of years and then artfully connects them to the present. Nor is Aida limited by geography. He begins in fact in the U.S., with young Muslims who are making their own kind of 'pilgrimage' to the Bronx - the home of hip hop - a surprising and strong influence for progressive Islamic youth in many parts of the world. The vibrant and historic Muslim community and influence in Brazil, the culturally diverse medieval Al-Andalus or Islamic Iberia, Islam and America jazz, Pakistani rock and more are all woven into this rich and wide-ranging book. Aidi rejects a simplistic "clash of civilizations" narrative for a more profound, complex and truly eye-opening exploration of Islam, youth and music. An essential and compelling read. There are few jazz artists these days who are even semi-household names. One of them is Herbie Hancock. 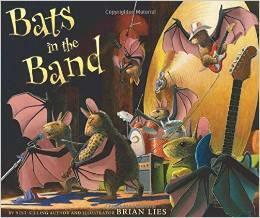 There are also few musicians who put together an autobiography as charming as the recently published Possibilities. Hancock scored a hit early on in his career with "Watermelon Man," became an integral part of Miles Davis's "Second Great Quintet," and then went on to explore (and help shape) the funk, fusion, electronic, new standards, world music that reshaped contemporary jazz. 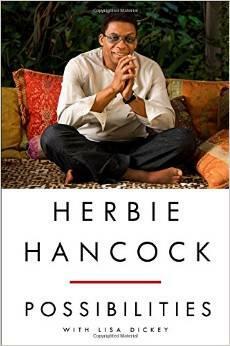 He is a UNESCO Goodwill Ambassador (and in that role helped expand International Jazz Day) and has taken home over a dozen Grammys and numerous other honors. In short, Hancock has been at the center of much that has defined jazz over the last half century. Though sometimes skims the surface, Hancock still offers a unique insider perspective and important insights into jazz and the making of it. In the process, he also reveals a kind of innocent but enthusiastic , engaged and rather charming character, always open to the Possibilities in people, circumstances, and above all, music. 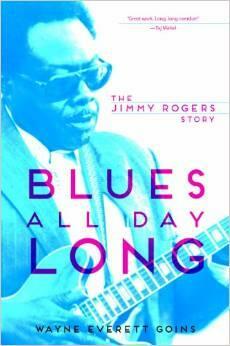 By now, most of the blues greats - Howlin' Wolf, Muddy Waters, Robert Johnson, or more recently Buddy Guy - have been treated to full length books. But there are still players, not as well known even to casual blues fans, who deserve attention as well. Jimmy Rogers, says Kansas State University Director of Jazz Studies Wayne Goins, is one of them. So he sets out to correct that omission with Blues All Day Long. Rogers had a few small hits of his own ("That's All Right" and "Walking by Myself") and even had a little career revival in later years. But his true claim to fame, Goins argues, was the work he did as a member of Muddy Waters band, playing an essential role in shaping Muddy's sound ,and with it, the enormously influential electric Chicago blues. Extensive interviews with family members, friends and colleagues, and a treasure trove of recordings, articles and personal collections from scores of people helped Goins make a compelling and full case for this little-known musician who was at the center of pivotal events in the blues. 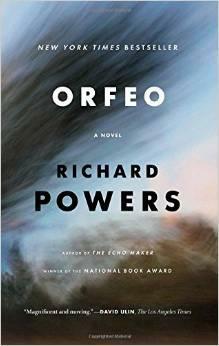 One of the best books about music this year was a work of fiction. Powers (a "genius grant" recipient who won the National Book Award for The Echo Maker and saw this book longlisted for both the Man Booker Prize and National Book Award) tells the story of contemporary classical composer Peter Els. As the book opens, his home experiments in genetic engineering have inadvertently drawn the attention of Homeland Security. Soon he is fleeing his home and life and as he is travels forward (to a growing chorus of terrorism hysteria) the novel also spools backward to tell the story of his life, one inextricably linked to both the events of his (and our) time and to music. In this modern reworking of Orpheus, the magical and tragic music maker of ancient Greek myth, Powers delves deeply into the need to hear and make music, and explores the many questions about its nature, evolution, meaning ,and place in the world. This is a profound and compelling novel that sheds more light on the mysteries of music than many a non-fiction work devoted to the same subject. This was a big help and great read when KMUW celebrated the centennial birthday of Adolphe Sax, the inventor of the saxophone. 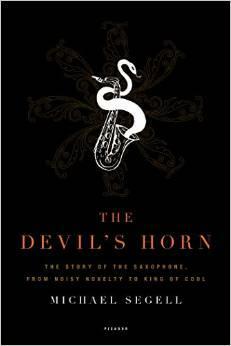 Loaded with fun facts, intriguing tangents, great tales, and breezy writing, The Devil's Horn is a delightful book about an instrument that profoundly shaped American music and culture. *BONUS - Coming in early 2015: The paperback edition Robert Gordon's Respect Yourself: Stax Records and the Soul Explosion (2/1/15) - a top pick for Best Music Book last year.